I'm seeing a little technical issues with the coloring, on the blondie's hair. 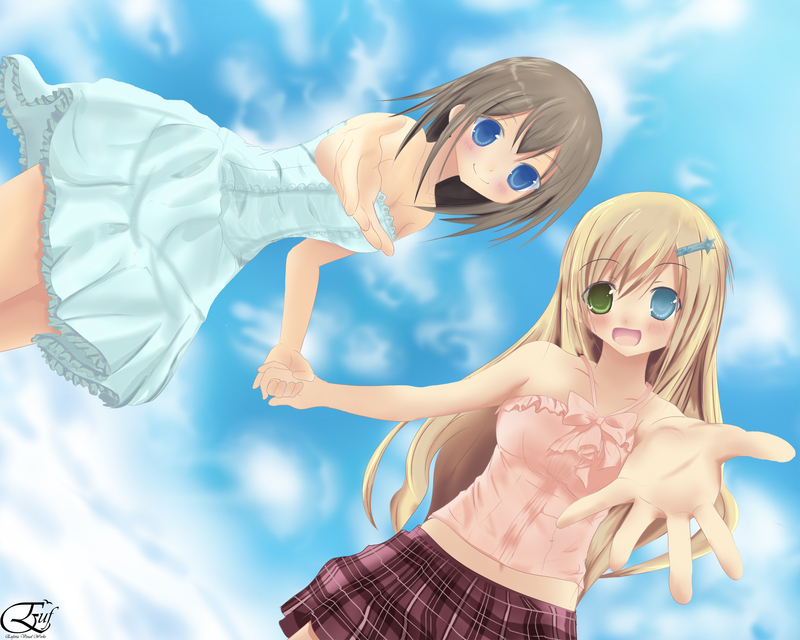 haired girl is on another perspective, clashes a bit too much. It's related to drawing style rather than mistake, so it's OK :D some pro's leave stroke look 'mistake', but actually not, they leave them as trademark of their drawing style. Omedetto, sensei totally perfect using soft color composition! I don't really mind the technical issues Kit mentions, I think the coloring is amazing. Though the only thing that really puts me off is the sort of problem with the proportions. Especially on the blonde girl, her mouth and eyes seem to be loopsided to the left.